Amazon has already revolutionised the way you read books, now they have their eyes set on your TV with their Amazon Fire TV but is it worth Getting? 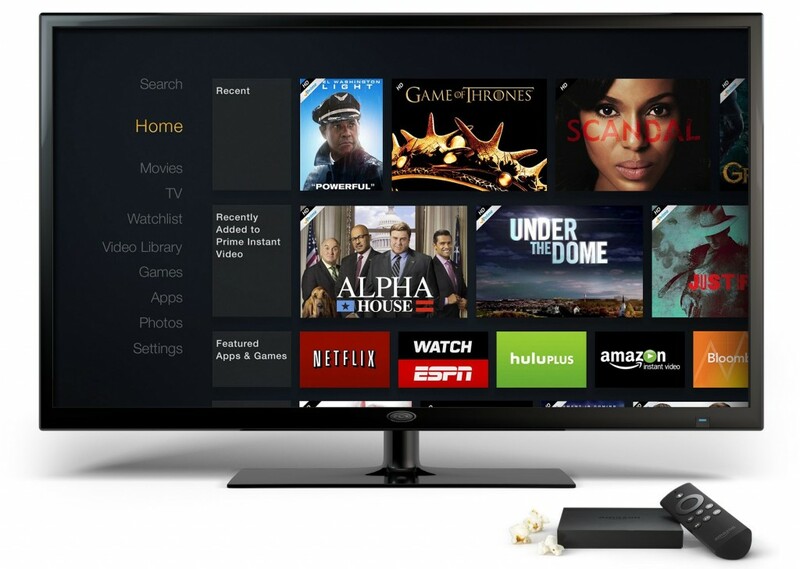 A set-top box that connects wirelessly to the internet, so you can then access Amazon’s own online streaming services, as well as being able to access music, films and television services from other providers like Netflix or YouTube. Essentially it’s Amazons own Apple TV. Amazons Fire TV is already available in the US and can be purchased from Amazon for around $99 (around £60), as of yet there is no UK release date but am sure it will be available soon. Digital TV is not going anywhere, but more and more broadcasters are delivering programmes, films and music via the web. If you don’t already have a Smart TV, and you wanted to be able to access content this way on your current TV this would be a good option. There main competition are the Apple TV (£79.99), Roku 3 (£99), WD TV Play (£79.99) and Google’s Chromecast (£30). Its has been rumoured that Google are developing another device, known as Android TV but details are scarce at this time. When you compare the Amazon Fire TV to its rivals, the Fire TV is more powerful; its specs include a quad-core processor, optional joypad accessory, so you can turn it in to a mini games console. Only a hand full of games are available for the Fire TV at the moment, the biggest one being Minecraft. The Fire TV allows you to use voice recognition, so you can search for content using your voice. I have yet to see just how well it actually works, but if it works well, it will spare you the frustration of using an on screen keyboard, and make searching for content faster. There are a few things you should bear in mind when thinking about getting one when it gets launched in the UK, like the Fire HD will be running a customised version of Amazons tablet operating system, which is a customised version of Android, but it wont allow full access to Google’s Play Store, instead you will be limited to running dedicated apps and games from amazon. 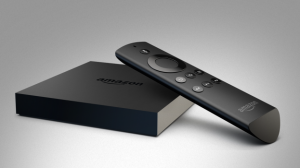 If you already use a lot of Amazons services, like Amazon Prime, Instant Video and Cloud Player you will benefit the most from getting the Fire TV. If you have a Kindle Fire tablet you can use that as a second screen. Ultimately if the fire is going to be a success in the UK, Amazon will have to secure a good selection of services like Spotifiy, BBC iPlayer and other on-demand services. If they can do this it could be one to watch.